The HTC U11 has been announced earlier today, and at this point it's already up for pre-order in the US, UK, and Canada. What's more, you can already take $50 off the official price of an unlocked unit if you choose to shop at HTC's official US online store. The phone's normally priced at $649, but if you add the coupon code LOVEU11 upon checkout, that sum will be reduced to a more palatable $599. There are three versions of the U11 to choose from - one works with AT&T and T-Mobile, another with Verizon, and the third one with Sprint. Speaking of which, Sprint will be the only US carrier directly selling the HTC U11. You'll be able to grab one for $0 down followed by 24 monthly installments of $29. That adds up to a full retail price of $696. Sprint will start pre-orders for the U11 later today, and the phone will become available in the US on June 9. For a limited time, if you pre-order one from Sprint, you'll get two free Amazon Echo Dots. Amazon is also offering the U11 on pre-order, but it's asking for the full $649 price, so if you're in the US you're better off pre-ordering straight from HTC, at least for now. Over in Canada, the device is priced at CAD 899, and can be pre-ordered from HTC. It will ship in June. 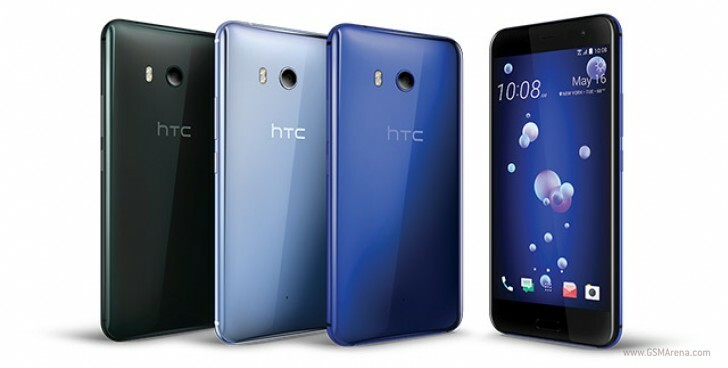 In the UK, you can pre-order the handset from HTC, Clove, or Carphone Warehouse. The first two of those places are both asking for £649 to give you a SIM-free unit. But if you choose Carphone Warehouse, you only need to pay £599.99 for the same thing. In all cases, deliveries are expected to start around June 1. Carphone Warehouse is also offering the U11 on operator Pay Monthly contracts, with the phone being free upfront as long as you choose a plan that costs £50 per month or more. Such an option would give you unlimited minutes and texts and 20GB of 4G data each month on O2. There are many more variants to choose from, though, including from other operators. yah its loud but not clear compare to previous model and thats because of waterproofing.